With every Switch bundle under the sun being announced, it’s no surprise that Fortnite is also getting the bundle treatment. Nintendo of America announced today that the acclaimed battle royale title will receive exclusive content in this Switch bundle. The console included is a standard Neon Blue and Red with bonus in-game content for the Double Helix bundle and 1,000 V-Bucks. A full Fortnite game download will also be included in the package. 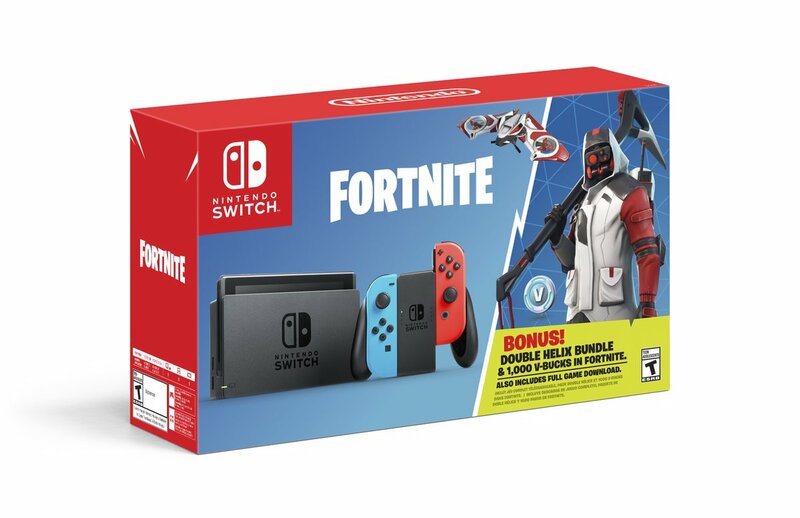 This may be the perfect bundle for Fortnite fans who have been holding out on getting a Switch when it releases on October 5. ← Member Conker’s Bad Fur Day?